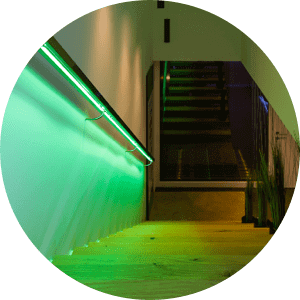 The 24V RGBW dimmer can be seamlessly integrated into the Real Smart Home, enabling the intelligent control and automation of light sources, such as LED strips. An effective way to introduce different lighting moods. The 24V RGBW Compact Dimmer allows for easy control of color-changing lighting such as the RGBW LED Strip. This driver includes the control for 0-100% dimming and the ability to adjust colors. This creates unique lighting moods that can completely change the look and feel of a room! 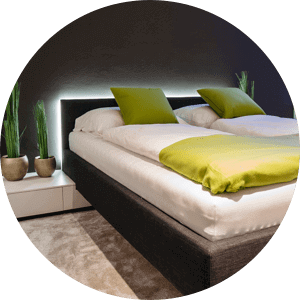 The 24V RGBW Compact Dimmer allows for easy control of colour-changing lighting such as the RGBW LED strip. This driver includes the control for 0-100% dimming and the ability to adjust colours. 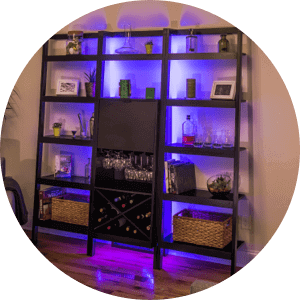 This creates unique lighting moods that can completely change the look and feel of a room! With the RGBW 24V Compact Dimmer, you now have more choices when it comes to potential installation places of LED Strips, for example. As this dimmer is specifically designed for decentralized use, it could easily be installed at the location of the LED Strip recessed into furniture or cabinetry, under the bed, or directly in a dropped or coffered ceiling. Loxone Air is a purpose-developed wireless technology that allows for the incorporation of Real Smart Home functionality within existing homes – whether it’s a refurbishment or renovation. For those installations that may not present the chance to pull a cable, Air technology takes care of the wireless communication for intelligent automation and control. 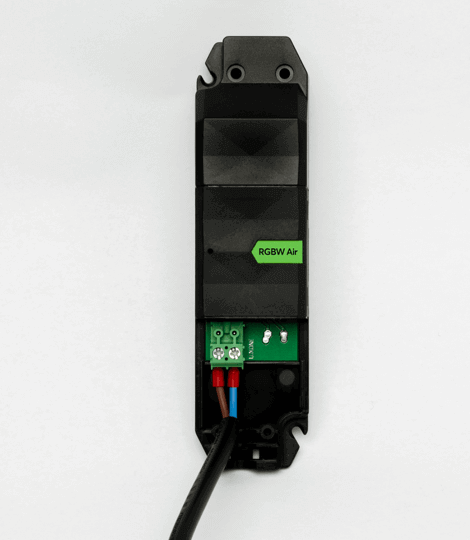 The RGBW 24V Compact Dimmer is designed in such a way that strain on the connected cable is relieved by the cover cap. Should you be using more than one cable, the strain relief can be achieved by adding the supplied cable straps. 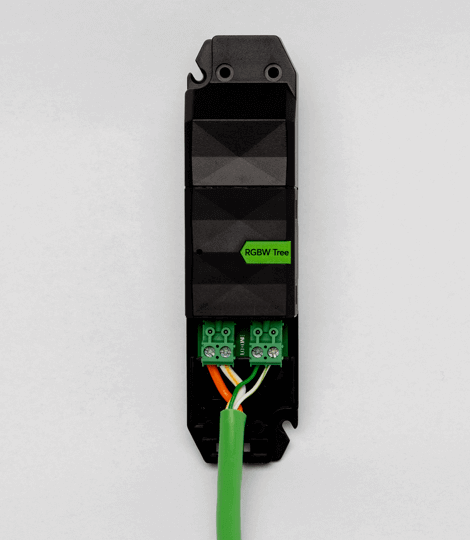 Loxone Tree Cable does it all – it’s suitable for handling all communication between Tree products as well as supplying power to the respective periphery devices. This is the perfect installation companion for the RGBW 24V Compact Dimmer. Dimensions 5.35x1.42x.91 in. 5.35x1.42x.91 in. For operation only with SELV devices.